​This is a mission specific group, dedicated to the funding of Tootsie's Vision. Tootsie's Vision Auction will be ending on Thursday, at 9pm eastern, 8pm central, 7pm mountain and 6pm pacific. For convenient viewing and bidding, please go to the ALBUM. In the past two years, Tootsie's Vision has rescued dozens of homeless blind and visually impaired dogs, most at high risk of being euthanized, and found them great homes and loving families. In the process, we have run low on the funds we need to pay for fostering, veterinary care and transportation. The proceeds from this auction will keep us going, enabling us to provide happy futures for blind dogs, full of contentment, safety and love. Edward Goodman has made it his life to be an advocate for blind dogs. Tootsie's Vision is a 501(c)(3) non-profit organization dedicated to assisting blind dogs find health, homes and hope. We want to educate the public about the needs of blind dogs and the rewards they offer as companions and to help as many as possible go from shelters to rescues, foster homes and forever homes. We also will help with medical care that will ensure blind dogs are able to live as happily as possible. Ed has seven blind pups with him now and is always ready to help others. Now he needs our help to raise much-needed funds to continue his work. 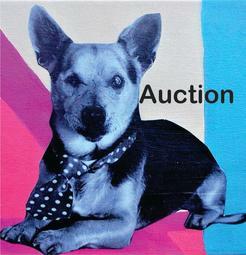 Please, be generous, donate items, donate money, bid, bid, bid! 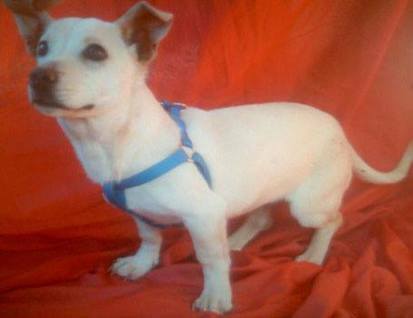 There is a very special blind dog, close to my heart, named Porkchop who is looking for a home. He is part doxie (hence the long body) and needs a home where he can get lots of loving attention. I was even thinking of driving all the way to Tucson to get him! He is sweet, gentle, playful and a great companion, but currently lives in a place with many very large dogs who pose a risk of harm to him. If you can help and spread the word, his bio can be found on ​blinddogrescue.com under owner surrender dogs and the email is os@blinddogrescue.com. I have corresponded with his current owner and she feels it important that Porkchop get more attention and be in a safer environment. Whatever you can do to help is greatly appreciated!!! !